Give a stylish touch to the street look of your little champ by dressing him in this trendy t-shirt. 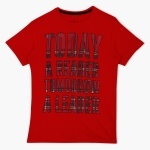 It sports an inspirational quote on the front to make this t-shirt look enchanting and captivating. 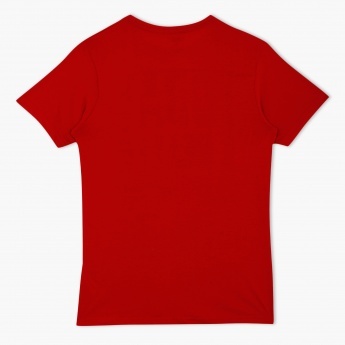 This lovely piece is styled with a round neck and short sleeves to offer a relaxed fit.